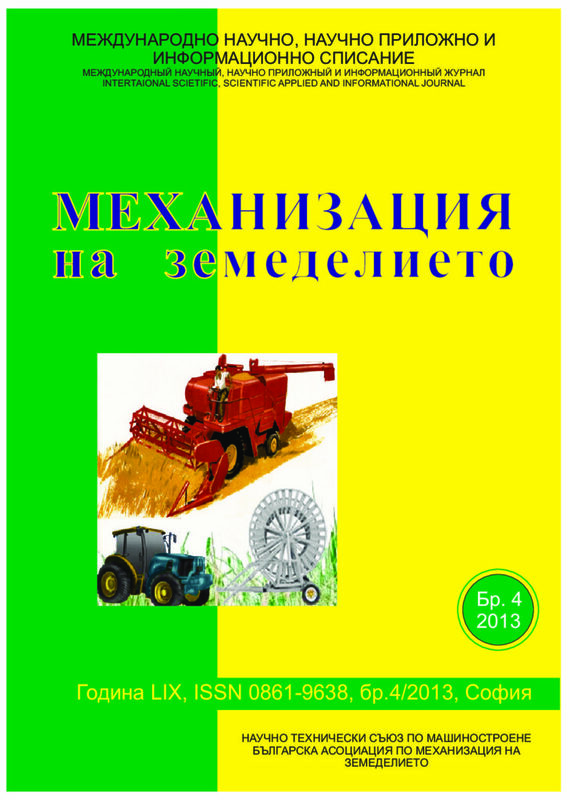 This article offers the new procedure of a general-purpose tractor mass and power calculation which is oriented on performance of certain kinds technological operations (sowing, plowing). Optimality criterions are total energy expenses considering yield energy which was lost because of wrong chosen tractor parameters. By multiple parameter optimization of a tractor parameters and the unit it is found out that there are optimum values of a tractor weight and power during the sowing and plowing, which do not coincide on size and remain stable at considerable change of environmental factors (properties of soil, parameters of field). Weight and power of a multi-purpose tractor providing the minimum total energy expenses during the complex of operations were indicated. In work mathematical models are developed and speeds of movement of seeds are analytically determined by a vibration pneumatic separator surface, and also the experimental assessment of division of a grain material in a fluidized layer is given at the raised specific loadings on a vibration pneumatic separator with advanced wild. The performance of sugarcane harvesters depend on function of subsystems. This paper describes failure rate and mean time between failures (MTBF) for sugarcane harvesters 7000 series which are used in HakimFarabi agro-industry of Iran. Sugarcane harvesters were divided into nine subsystems and their failures were studied for 4500 working hours. The failure rate of subsystems including engine, hydraulic transmission, topper, base cutter, chopper, feed rollers, elevator, wheels and extractor fans were calculated 0.014, 0.05, 0.023, 0.065, 0.03, 0.037, 0.026, 0.016, and 0.009 (1/h), respectively. Furthermore, MTBF for subsystems after 4500 working hours were computed 72.21, 20.26, 73.41, 15.53, 33.92, 27.25, 38.66, 61.09, and 111.85 (h), respectively for the aforementioned subsystems. Among the nine investigated components, base cutter with maximum failure rate and minimum MTBF and extractor fans with minimum failure rates and maximum MTBF were recognized the most unreliable and reliable subsystems respectively. Examined and shown ways to improve water supply to agro-industrial complex consumers agribusiness in Kazakhstan to irrigate pastures and irrigation in market conditions. There are given the theoretical foundations of the most progressive method of restoring the production rate of underground water source – a well by the use of compressed air and airlift technology, which can be recommended for practical application. They are purpose for definition of the main parameters of the process: the need to over-pressure compressed air supply compressor, power consumption and efficiency. They are investigated qualitative indices of a grain harvester New Holland CX8060 at sesame harvesting. The sesame genotype 4083 is used for experiments. It is developed at IRGR – Sadovo (Bulgaria) and has non dehiscent capsules at maturation. The tested harvester reaches seed’s purity of 84,4 % and loses up to 22%, two-thirds from which are due to the header. The high seed’s humidity of 14,4% has been the main reason for decreasing their germination capacity from 20 to 50 % by the harvester. Generally, the grain harvester does not met requirements at sesame harvesting at Bulgarian conditions, therefore is recommended developing a specialised unit for this agricultural operation. It is known that the classical plough not fully reverse the soil layer. As a result, the top soil is placed at various depths below the surface of the field. Proposed a plough for fully reverse of the soil layer with extended rear plow body. As a result, an additional resistive force was created which displaces linkage point on the plow. Is obtained analytical dependence for the determination of the displacement of the linkage point of the plow for fully reverse of soil layer. The same relationship is illustrated for different numbers (2 to 10) plow bodies with working width of 35 cm.